Posted on May 18, 2015 by Appleton Downtown Inc. Photographers! Here's your opportunity to showcase your One Great Place photos in Downtown Appleton. We are looking for photos of Downtown Appleton and the Riverfront. 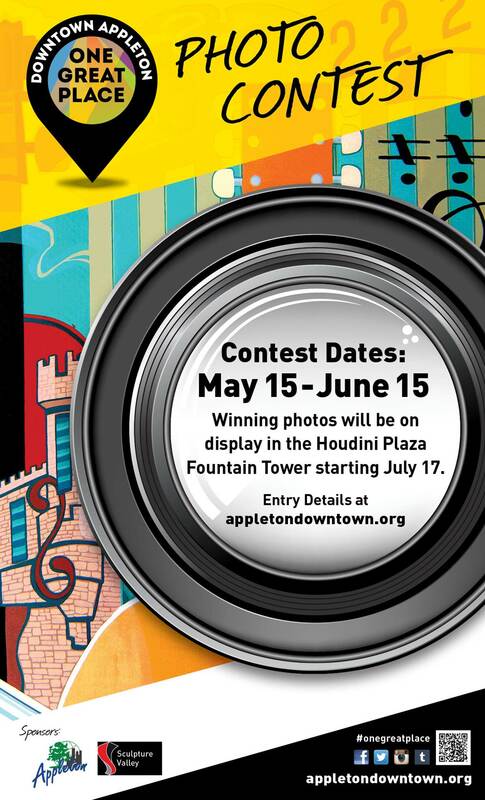 Winning photos will be displayed in the Houdini Plaza Fountain! Appleton and depict why Downtown Appleton is One Great Place. and architecture in downtown Appleton that convey a sense of place. 3. People enjoying Downtown and the Riverfront. The contest begins on May 15, 2015. All entries must be emailed to traci@appletondowntown.org by 11:59 pm Eastern Time on June 15, 2015. Click here for Photo Contest Rules. Click here for Model Release Form.